This Friday we’re checking out ‘19’, a suspense mystery flick with Big Bang’s T.O.P and Seung-ri. ‘19’ is a story of three nineteen year old teenagers who become fugitives on the run following the murder of a high school student. The three suspects all have a connection to the victim which forces the police to stage an investigation which turns into a man hunt. The story develops as the trio uncover the mystery surrounding the murder and discover the only way they can return home lies with the truth. This 2009 tele-cinema Hallyu promotion was a collaboration between Korean directors and Japanese screenwriters. The narrative itself is lacking in suspense and mystery. A mystery needs twists and intrigue and this film doesn’t deliver. The characters are a bit flat and absent from any unique personal qualities but, in spite of this, they interact extremely well together. T.O.P’s character Seo Jung-hoon is a college freshman and channels his teen angst through his rap music. Seung-ri plays a introverted son of a rich family who fails to get into college. Park Min-seo seems the most complex and his attitudes are definitely questioned as the story develops. Huh E-jae’s character, Cha Eun-young, visits her dying mother everyday who believes she leads a successful and ambitious life when, in reality, she has been dismissed from her job at a salon. The basis of this film is teen angst and the struggles of feeling isolated, forgotten and lost. The trio experience their own sense of ‘angst’ and anger. The murder of the high school student forces them together but their bond is shaped through their acceptance of each other. Despite the difficult progression of a narrative and the lack of characterisation and intrigue, the film is abundant with talent from acting to music. 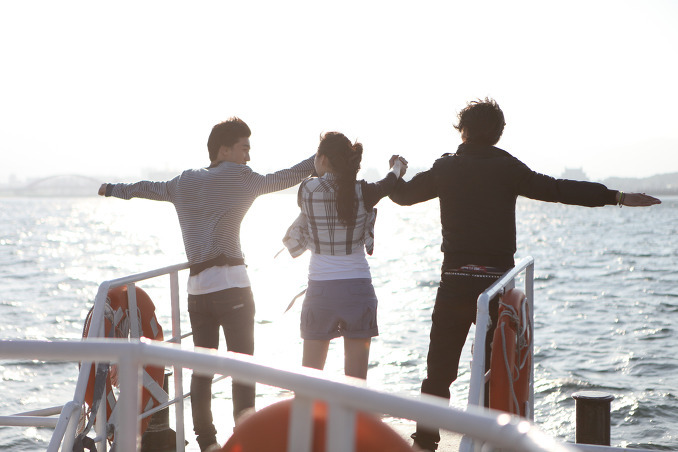 The three protagonists create a strong image of teenage rebellion and friendship. The most rewarding part of the film is the soundtrack. T.O.P and Seung-ri are credited with their successful self-written tracks. T.O.P performs his track at the end of the film as the credits roll. Seung-ri composed a sweet ballad placed perfectly in the film during a melancholic scene. It’s interesting to see T.O.P at the beginning of his acting journey and more intriguing is Seung-ri’s talent at acting which he ought to be applauded for.